After an apparently successful public beta program for OS X Yosemite, Apple is rumored to be considering an expansion of that initiative that would see forthcoming versions of its mobile operating system —beginning with iOS 9 —subjected to the same assessment. Adding iOS to the public beta program would represent another step in the recent trend toward openness for Apple, which has seen the company slowly bring its software projects out of the darkness. 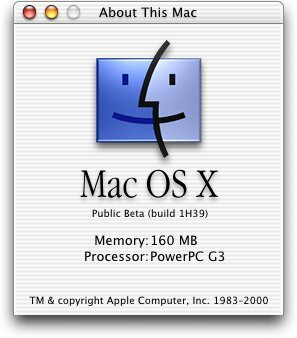 During the second reign of late cofounder Steve Jobs, Apple applied much the same level of secrecy to software that it did to hardware, with the notable exception of the Mac OS X public beta in 2000. That changed with the public beta of OS X Yosemite, and iOS 9 could receive the same treatment, according to 9to5Mac. Apple allowed just one million members of the public to sign up for a chance to test Yosemite, and might follow the same approach with iOS 9. Similar changes may also be afoot for iOS 8.3, preview versions of which have already been released to developers. That update is though to be headed for the existing AppleSeed program, under which Apple customers are selected to test pre-release software based on the needs of the engineering teams. While iOS 9 is unlikely to see the light of day until Apple's annual Worldwide Developers Conference this summer, development is well underway. Traffic to AppleInsider servers from devices running early builds of the new operating system has steadily risen throughout December and January, indicating the ramp-up of internal testing processes. Update: A follow-up report from Re/code claims sources have confirmed the rumor, saying the upcoming iOS public beta will hit AppleSeed sometime in mid-March.